First and foremost, you MUST encrypt your website. With PRO ISP, you’re covered! That’s because we include complimentary basic encryption-only SSL certificates with our hosting packages so even blogs can be secure. However, as encryption rapidly becomes the web’s new minimum standard and online threats, hacks and breaches continue to rise, the general web user will need more when deciding who to trust and do business with. Luckily that’s exactly why there are more comprehensive premium SSL solutions available to help differentiate you from the competition. Choosing a better security solution for your business can directly impact profits and your users’ feeling of safety. With Premium EV SSL solutions, since your business will go through a more thorough vetting process (extended validation or EV for short) you should be rewarded for your troubles, right? Well, you’re in luck! 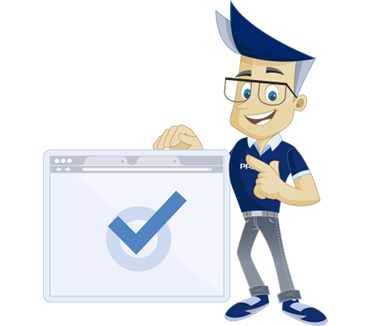 All Premium EV SSL certificates activate all of the security indicators within the browser, certificate and site seal to showcase that you are the real deal. To show that you’re legitimate. To show that you can be trusted. To show that you take security serious. Don’t worry, if you’re a legally registered business, the validation process is a breeze. If you feel our complimentary encryption-only solution is sufficient, you can still reap some of the benefits of premium website security. Simply add on any of these premium features.